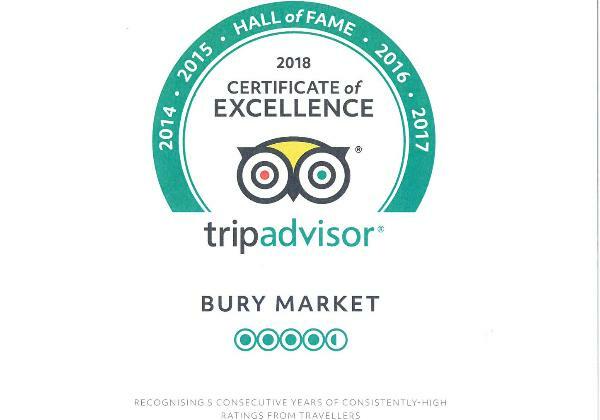 Bury Market has received the TripAdvisor Certificate of Excellence for 5 consecutive years of receiving high ratings! We always want our visitors to enjoy their trips to Bury Market, so we love it when we get a positive review on TripAdvisor! It shows us that the hard work of everyone on our market is being recognised! Thanks once again for everyone who took the time to give us a review on TripAdvisor! Find our TripAdvisor page here TripAdvisor.